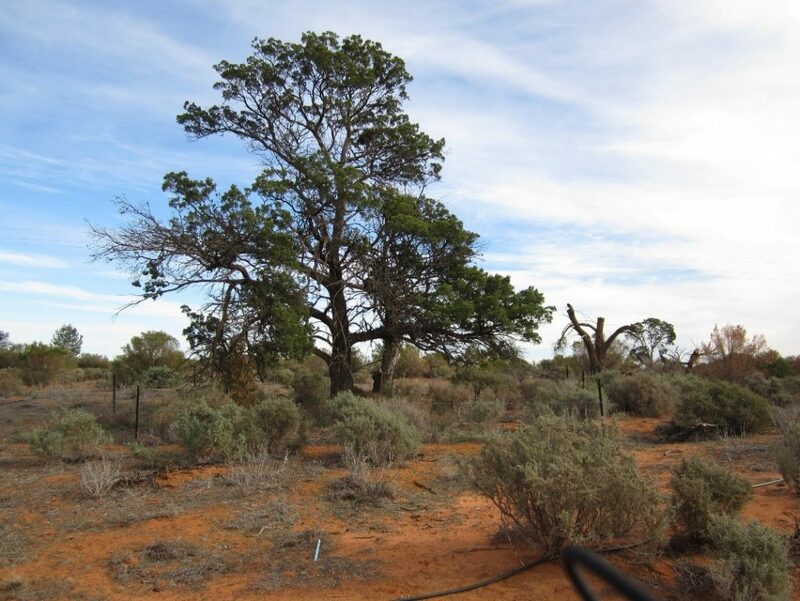 Branching: can the addition of woody material help to revegetate degraded drylands? Woody debris is recognised as an important structural element of the ground layer. 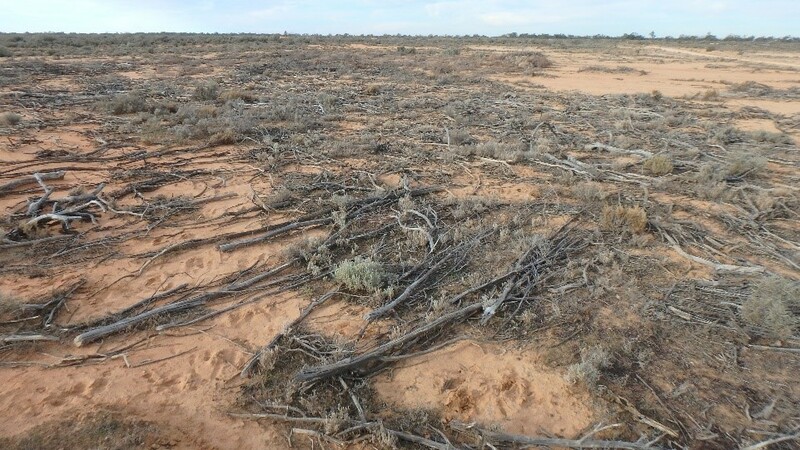 The placing of logs or branches on the soil has been trialled as a method to stabilise degraded soil surfaces, by protecting plants from herbivory and allowing them to establish. 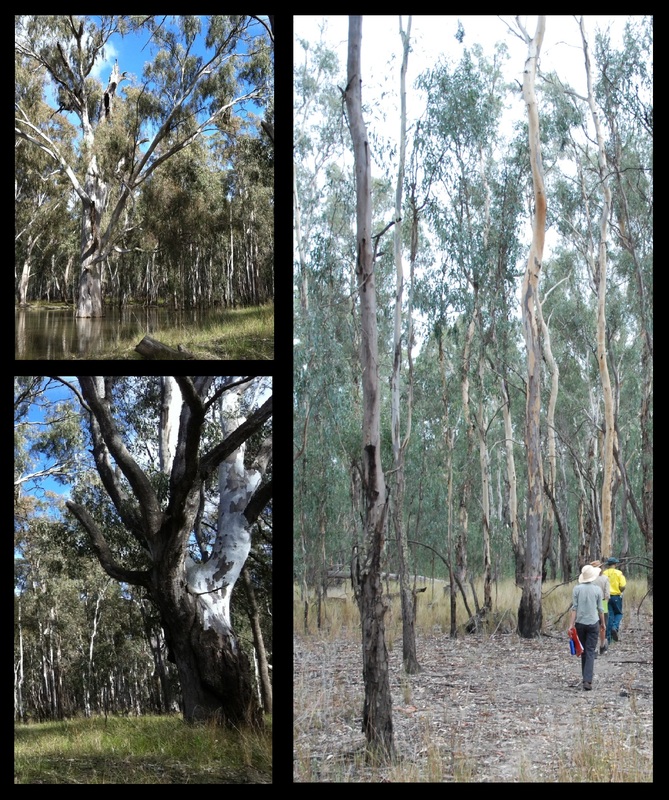 A trial is being established in the Murray Mallee region of South Australia to examine the usefulness of ‘branching’ as a restoration tool. 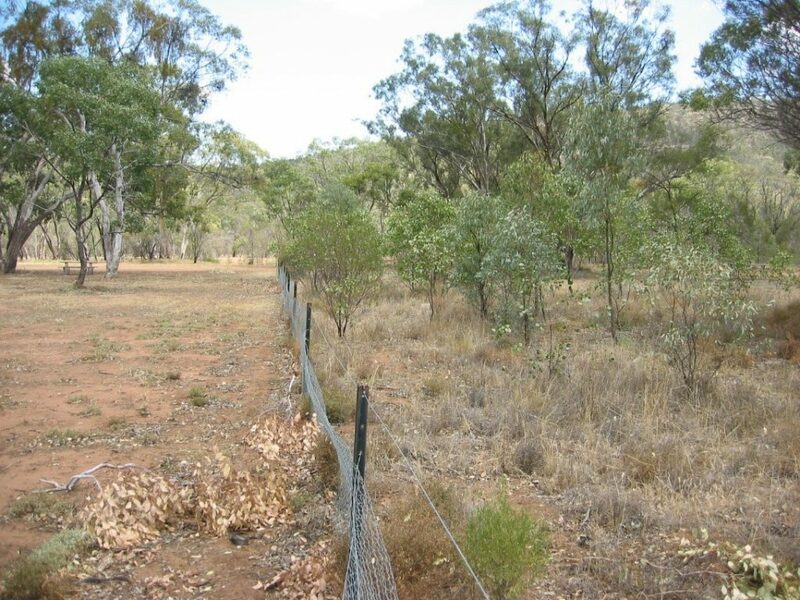 This study will compare the effect of multiple branching treatments on soil accumulation and soil properties, herbivory of planted seedlings, and establishment of perennial vegetation within an existing experiment. 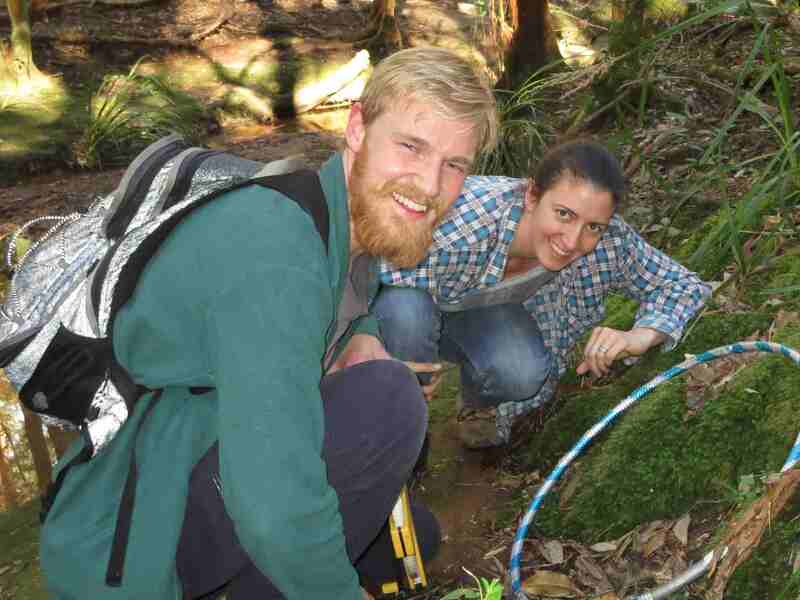 An honours project would form part of a larger research project looking at the role of branching in restoring degraded landscapes. Students will be able to position their research within a broader context and work alongside collaborating scientists. 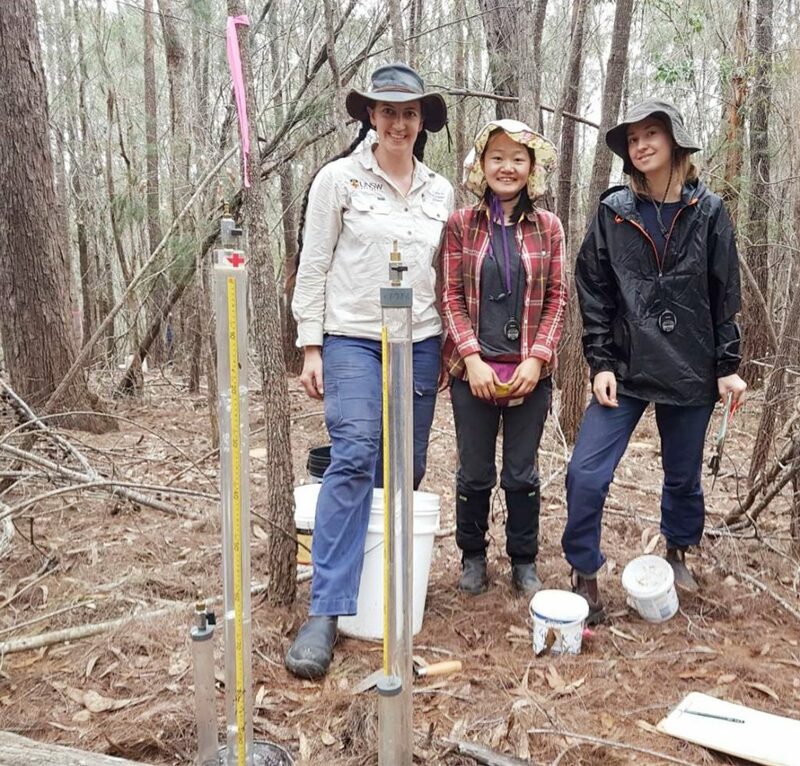 Soil infiltration experiment and soil surface condition survey for Koala Habitat Restoration Project in in Merimbula and Bermagui, collaborating with NSW National Parks. Congratulation Max on ESA student prize! 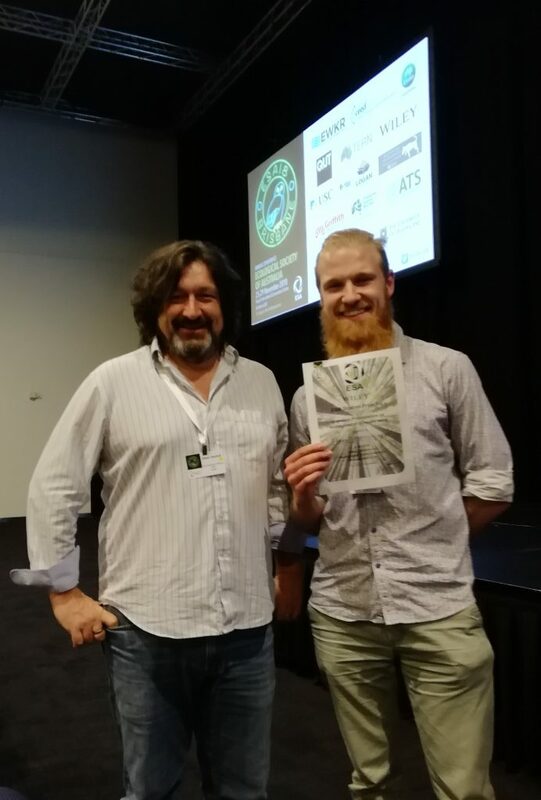 Max and Jingyi, (PhD students) presented meta-analyses on impact of digging mammals and woody plant removal at ESA 2018 (Annual Conference of Ecological Society of Australia). 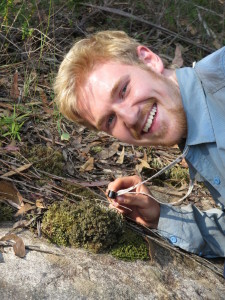 Max won the 2018 ESA Wiley Student Prize for the EMR spoken presentation on management or restoration. Congratulation Max! 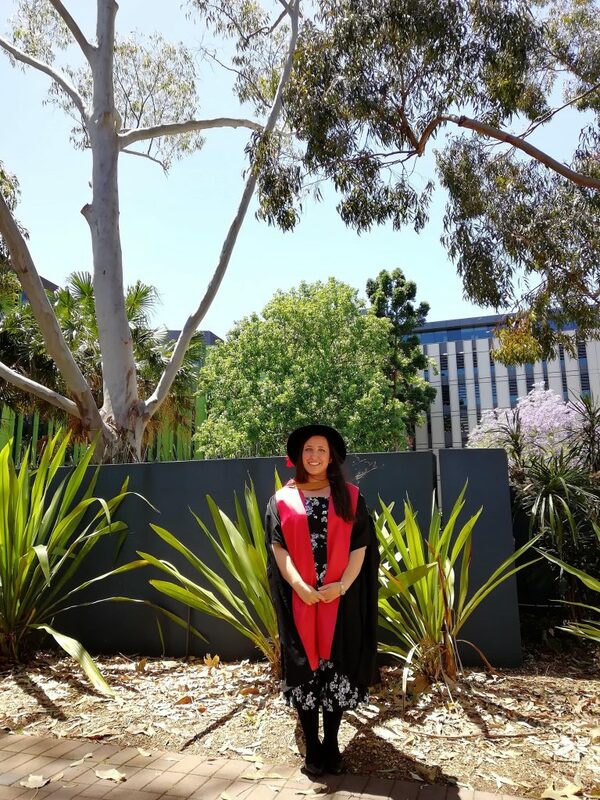 Congratulation to Gabby (Dr. Radnan now😊) for her PhD graduation ceremony today! Gabby has accomplished an excellent PhD on ants. Thanks for her great work in our lab. We will miss the joyful time spent with you 🙂 . Congratulations to Naomi and Adriana on their graduation ceremony today! Also special mention to Adriana who won the best honours award in geography and received the Jack Mabbutt Medal. 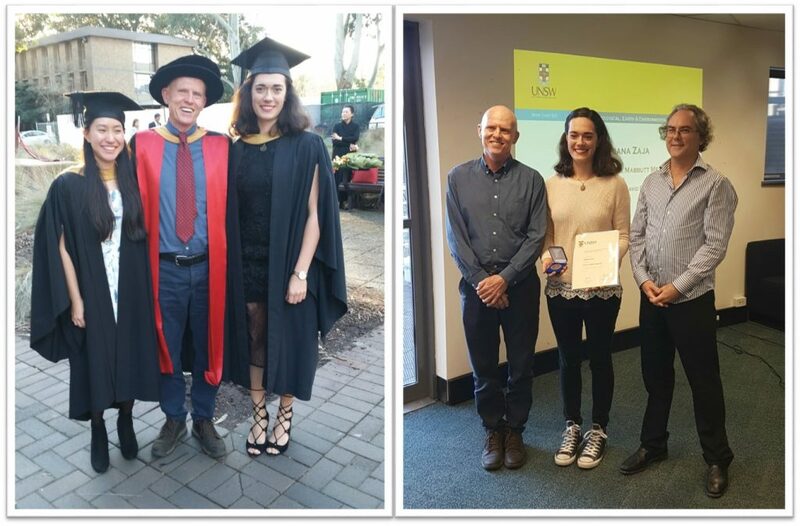 Thank you to both of you for the excellent work and joyful time in our lab as honours students, we will miss you guys! 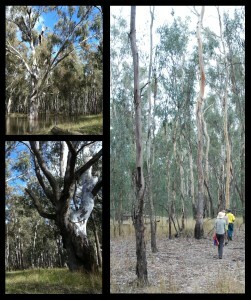 A chance for some field work in these beautiful inland riverine forests. We’re looking for an enthusiastic student to be involved with a larger project set up by Office of Environment (NSW) and Heritage and Parks Victoria. 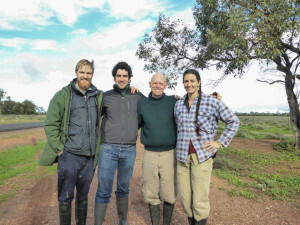 The project will involve field work throughout the Lachlan Valley, Murrumbidgee Valley and Murray Valley. 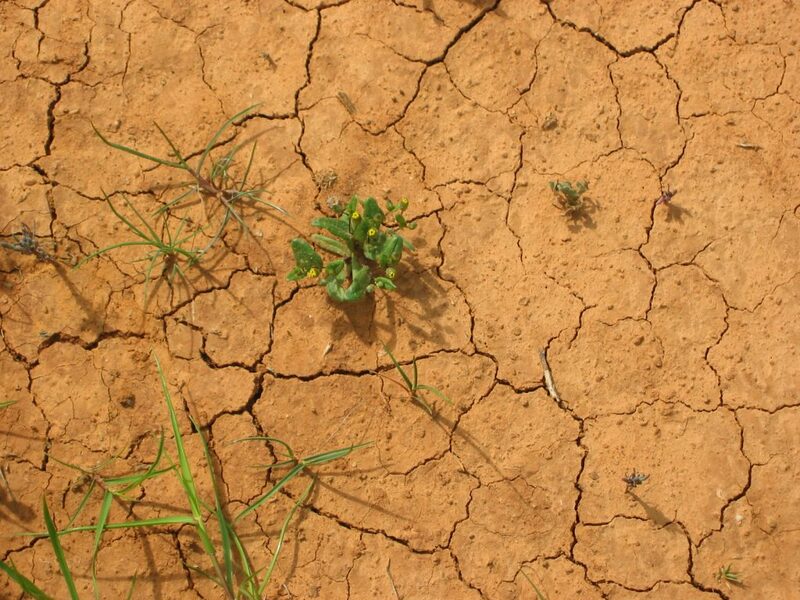 This project presents an opportunity to visit some unique parts of Australia and receive training in measures of soil health and soil surface condition. This is a fantastic opportunity to collaborate with government departments including National Parks and Wildlife Service (NSW), Parks Victoria (Vic.) and Scientific Services (NSW). Preferred candidates would have a strong background in ecology and/or soil science and hold a provisional or full drivers licence. For more details please contact Prof. David Eldridge (d.eldridge@unsw.edu.au). 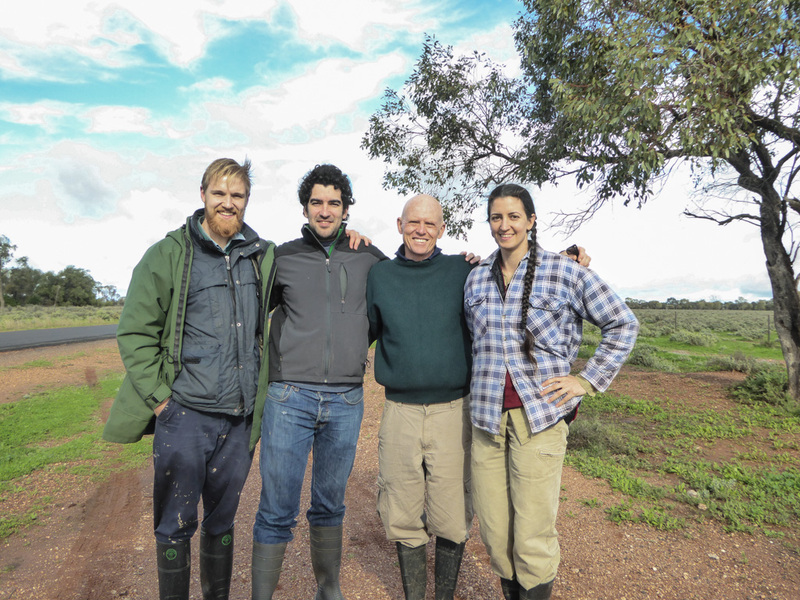 Sampling vegetation and soils for the BIODESERT study at Nyngan.